Once a small manor house, the earliest parts of the Inn at Whitewell date back to the 1300s, when it was home to Walter Urswick, keeper of the King’s Forest of Bowland. Residents are welcome to fish for salmon, brown/sea trout and grayling, according to season, on the Inn’s seven-mile stretch of the river. The surrounding countryside can also be explored on foot, bike or horseback; hampers and picnic lunches can be provided for guests planning a day’s outing. The Inn at Whitewell has a stunning private dining room that is also on the riverside, although it is rather pretentiously named the Orangery it is more a tribute to the views and food than horticultural endeavours. Bowland Forest Vintners is a fully independent wine merchant, autonomous from any large wholesaler or producer and free to buy from any winemaker in the world. The shop is to be found in the reception of the Inn at Whitewell and is biased towards smaller producers whose wines are quality driven and invariably from single vineyards. 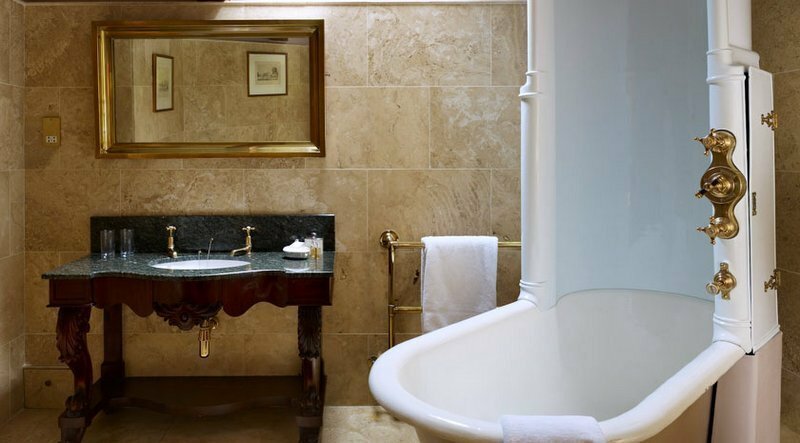 Nestling on the banks of the River Hodder and brimming with character, the Inn has twenty-three en-suite bedrooms which have been individually designed with antique furnishings, paintings and prints; many have open peat fires with and overlook the river. 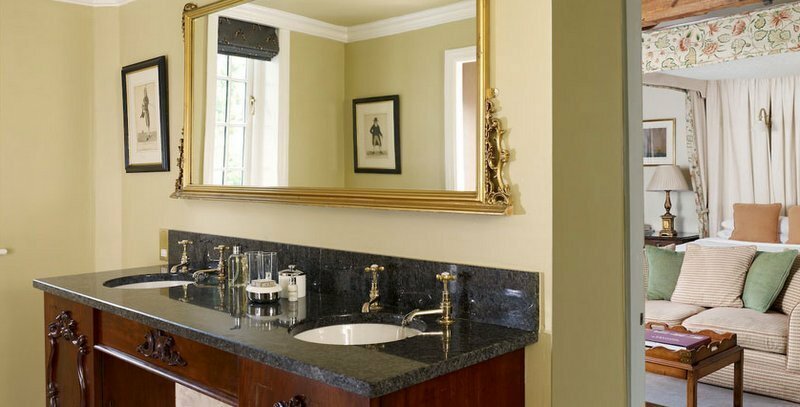 Some bathrooms feature beautifully restored Victorian ‘bathing machines’ – canopied baths and showers with huge spray heads. Head Chef Jamie Cadman and his team serve up wholesome, delicious menus in the bar and dining room, with lots of seasonal and local produce in evidence. 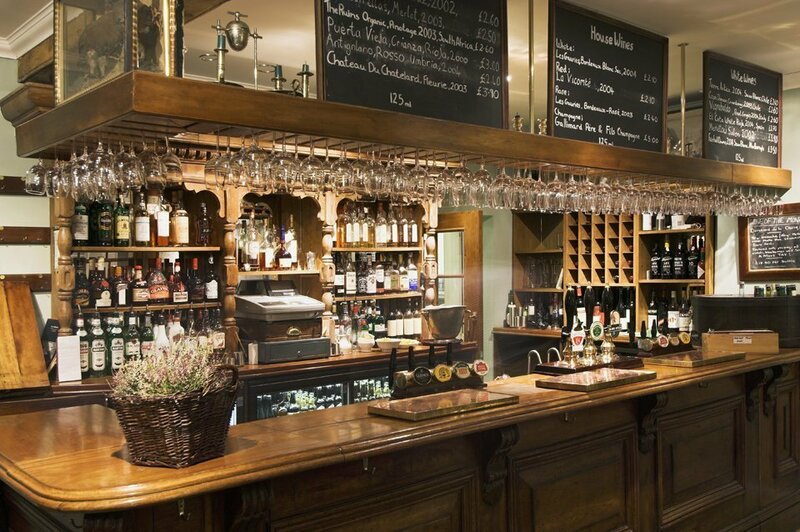 The bar serves a fabulous range of beers, wines and soft drinks, from some very local cask ales to some of the world’s best organic bottled ciders and beers. The Orangery and the riverside garden provide yet more choices of places to tuck in whilst taking in the views! 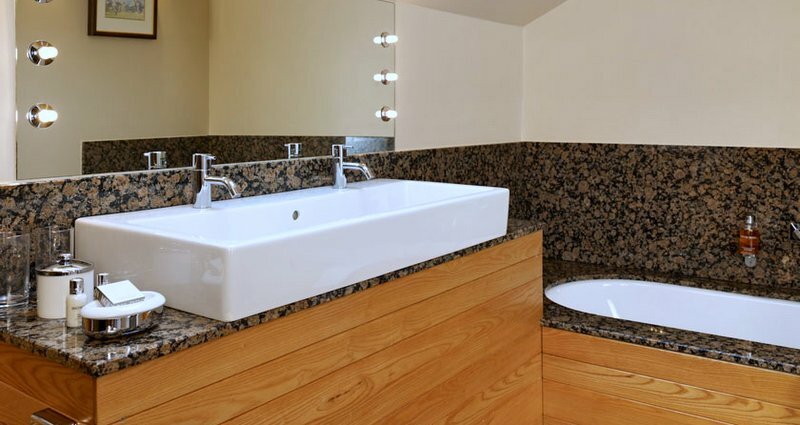 The Inn at Whitewell has 23 individually furnished rooms, some with antique baths, open fires and balconies – all with their very own unique charm. Dogs are welcome and can enjoy all public areas apart from the restaurant. Jamie Cadman has been the head chef at The Inn at Whitewell for eighteen years and he has a hugely loyal and enthusiastic following. Jamie insists upon using only locally sourced ingredients “cooked simply to let the quality shine through”. These ingredients include seasonal grouse from Lancashire Moor, pheasant and partridge from Dunsop shoot, Bowland beef and Lonk lamb from Burholme Farm all of which can be easily seen from the Inn’s windows. The glorious Lancashire countryside is perfectly located for fishing and shooting. 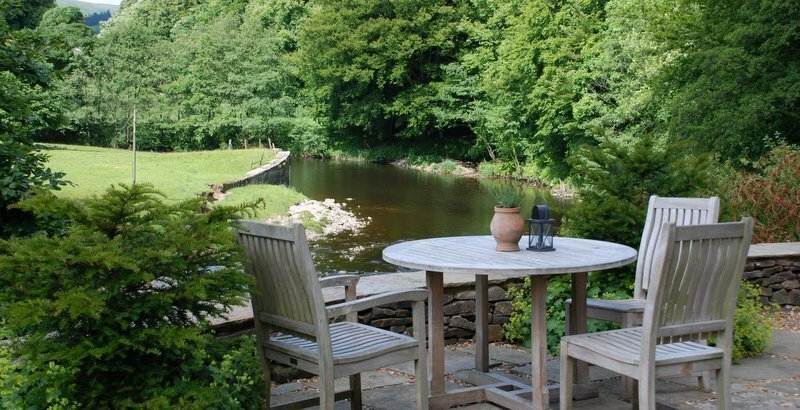 The Inn at Whitewell is nestled on the banks of the River Hodder and has 7 miles of river and 14 pools for you to explore, where sea-trout, salmon and trout are in abundance. Half an hour away you will also find the fantastic Wyreside Lakes Fishery which holds reguakar fishing courses. The Inn is also perfectly situated next to some of the finest shoots in the country and at the foot of some spectacular grouse moors. Just a 25 minute drive from The Inn at Whitewell is Towneley Hall, which was the family home of the Towneley’s for nearly five centuries. Today, their stories are brought to life by re-enactors and visitors can experience the hustle and bustle of the Victorian kitchen, stroll along the long gallery past bedrooms dating back to the 16th Century and imagine the glamourous parties held in the regency rooms. Also close by is Samlesbury Hall, one of the most stunning stately homes of Lancashire. A fabulous half-timbered black and white medieval house dating back to the 12th Century, complete with cosy coffee lounge, ice cream parlour, farm animals and a beautiful antique collection. With exciting events being held throughout the year, this is a fantastic family day out. Or, why not explore the intriguing and dark history behind Lancaster Castle, with tales of persecution and punishment, it is a historical place of interest and interaction for visitors of all ages. The castle dates back almost 1000 years and has been described by English Heritage as a place of ‘international importance’. Nearby Skipton Castle also gives excellent tours of their splendid gardens and woods. Golf is available at a discounted price when staying at the inn at Clitheroe Golf Club, only 10 minutes away. Fishing on the Hodder Fell – on the doorstep! Shooting (by arrangement) – on the doorstep! Surrounded by some of the country’s finest produce; seasonal grouse from Lancashire Moor, partridge from Dunsop shoot and Bowland beef from Burholme Farm, the Inn is renowned for creating locally sourced, exquisite menus. Cyclists can refuel with a wholesome supper washed down with a local cask ale in the convivial bar whilst rubbing shoulders with the friendly local punters. Forest of Bowland is prime cycling territory with tough climbs, incredibly striking countryside and quiet roads in abundance. Tour the neighbouring towns and villages with a number of serene road routes for those looking for a gentle cycle and off-road tracks for the more experiences biker. Inn at Whitewell welcomes cyclists, with an Ordnance Survey Explorer OL 41 ideal for planning routes available at reception. Trialled by the Tour de France Campion, Sir Bradley Wiggin the Trough of Bowland is an extremely popular route situated between the Yorkshire Dales and the coast. Starting in Clitheroe, this 83-mile sees you climb Waddington Fell, cross the idyllic River Ribble, head north past Arkholme along the River Lune, through the market town of Kirkby Lonsdale and back towards the Forest of Bowland. With a total assent of 6,994 feet, this ride is no easy feat… but the views are totally worth the struggle. All guest rooms are dog friendly at no charge. Dogs welcome in all public areas apart from the dining room. Water bowls provided around the building and gardens. Walks recommended on arrival.